Not to get off topic here, but the "Rule of Law" specifically refers to the government having to obey it's own laws. I.E. the king/queen of a monarchy can't make it illegal to smoke weed, and then go and do it themselves. It has nothing to do with governments making stupid or unfair laws, so long as those laws are obeyed by those who govern. Rule of law is just that: law rules. Everyone. Not just the leaders, everyone. I think you missed the point? It has nothing to do with stupid laws, it has to do with some laws being selectively enforced on some groups while other laws are not enforced at all. It makes justice everything but. As policy it effectively undermines if not invalidates the authority of the Justice Department and makes a mockery of the entire system. Just business as usual for the United Corporations of America. Actually, I see your point now. There is virtually no difference between a monarch believing that the law does not apply to him, and a government which simply ignores the law/looks the other way selectively. We've articulated our points just fine and I'm not interested in beating a dead horse, but this is a pretty bold snippet. Are you using the logic, that because he was wrongfully arrested by a cop and charged with eavesdropping in a case they haven't won and aren't likely to win to send him to jail for 75 years... that this makes it 'illegal' in your mind? Or is there an actual law you can cite that makes it illegal to videotape or record police? I'd love to know where there's a law directly against this and not some other pending court case you're assuming will result in tyranny and the end of all freedom. That the man can get arrested under our laws for this is what's absurd and outrageous. The problem isn't that the arrest was illegal. It's that the arrest was legal. 1) This has nothing to do with what you quoted. Please edit out my comment asking about a specific statement made by someone else. 2) We haven't established that he can be arrested for it or not yet. It's entirely possible the police officer did something he's NOT allowed to do, not the defendant who recorded him. That's the point of the system. If he's not convicted you move on to things like wrongful arrest and suing for damages. 2) We haven't established that he can be arrested for it or not yet. That's the point of the system. If he's not convicted you move on to things like wrongful arrest and suing for damages. It's entirely possible the police officer did something he's not allowed to do, not the defendant who recorded him. Are you trolling or does your brain actually run this way? If I was you, even if I was serious I'd say I was trolling, just to save face. 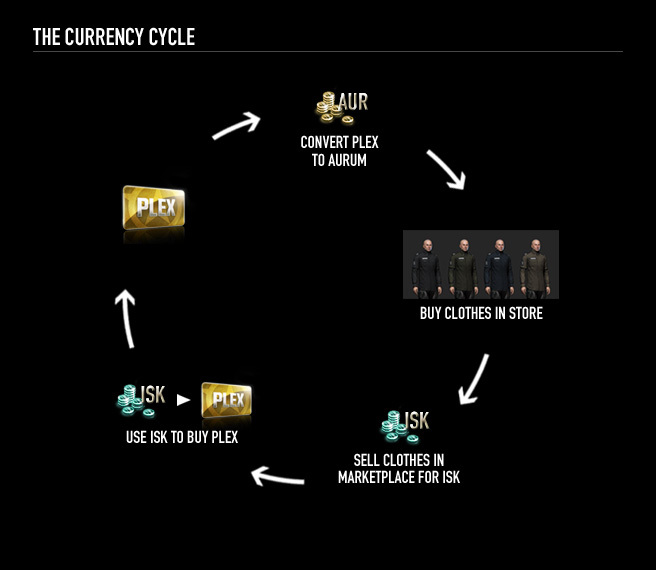 "Quote:Nothing in EVE will ever require real life money, as long as players are selling PLEX for ISK. Not even the monocle! You and Forum Worrier should hook up, get some drinks, get in a ball game. You would be surprised. Recently, Justice Kagan has said that when the Obamacare issue reaches the Supreme Court, she will not recuse herself despite having overseen much of it's defense in the lower courts. There is a clear conflict-of-interest, and sadly no one can make her recuse herself. Of course, that doesn't sotp her from saying Justice Thomas needs to recuse himself because of his wife being part of the Heritage Foundation or something like that. Second, a Massachusetts District Court recently ruled that the police can not be granted immunity from press or videotaping. However, that only applies in Massachusetts. Other states can do as they please. The next time you hear a policeman complaining about being filmed/recorded, just advise that that since they're innocent, they won't have anything to hide. Then sit back and enjoy the fireworks. You do know the eavesdropping law now includes videotaping/recording police without their consent...right? They haven't thought up some abstract legal plot because they couldn't get him for something else. (He hasnt done anything else.) He was arrested for videotaping police...which is ILLEGAL. It just falls under the "eavesdropping" law which they ratified a few months ago. Like they stated in the video he has 5 counts of illegally recording police without their consent...Which btw was done in a public place. You have circumvented the entire point of your own post's video. It is not illegal to video tape the police, and he is not charged with that. He was wrongfully arrested by cops for video taping them, and they didn't do the right thing. Now it's a court case where they are trying to spin it as EAVESDROPPING (which is what they have charged him with rather than let him go.). The OUTCOME OF THE CASE decides if it's legal, or illegal, and your own video says THE POLICE HAVE NO CASE. If you want to make assumptions and take them this far that's really sad, but normal for the internet. It's mostly just strange to me that you assume the reverse of what's most likely going to happen according to your own sources. Why do you think he'll be sent to prison for 77 years and it will become functionally illegal to video tape the police? What do you think they're going to say to a jury of other citizens that they'd make that decision? Oops, double post while editing. As an Illinois resident, who lives down state where we resent the overbearing control of the upstate crooks who control our lives. I'll tell you straight up, we don't give a **** anymore about anything. Voter turnout for the State legislature goes down every year. Nobody even votes for Senator or their representatives anymore. City and County elections are even more of a joke. Throughout the state from northern tip to the Kentucky border we are just tired of pretending to believe we have a say in how we are taxed, or even treated by police. 5 families from Chicago control the State Legislature, and they always will and Cook County is full of morons who flock to the ballots and blindly check off whichever one of our Governors goes to prison periodically. I am tired, we are tired. Illinois is just a damn cesspool of corruption, crime, and totalitarian laws which most of em would be struck down as an unconstitutional infringement on our rights as American citizens. But, the lobbyists and "community organizer groups" from blessed Cook county fight us everytime an Illinois Citizen attempts to take his rights back because some fast talking Democrat who just got out of prison for fraud tells them how to think. **** it, **** this and **** people who don't live in Illinois and want to tell us what to do. There is no way for an Illinois Citizen to fight anything. The fact that in a western democracy, anyone might even THINK its reasonable to arrest someone for recording cops is amazing. The fact that enough people agree, that its actually possible prosecute for it, beggars belief. As of now if they ask you to stop (And you dont) or say you didnt tell them to begin with they can arrest you. Yes she was acquitted... but she shouldnt have been arrested or gone to trial. I dont care if I didnt originally state that in the first post... Oh well you got me for not elaborating... And if I am over reacting then the wise thing to do would have ignored the post in the first place no? And for the hundredth time... It's BS that people are getting arrested and awaiting trial even if they can get off. People should not be arrested and have to go through months of nonsense for this. You can't control and innocent man. You can however control a criminal. By creating so many laws that noone has any idea how many there are, you create a nation full of criminals. You can then control anyone in the nation that gets out of line, including someone else in power. This is the reason laws like this exist. It is deliberate and has been happening for thousands of years. The letter of a law kills. The spirit of a law saves. Apply this to any of your favorite legal sub-topic (land rights, self defense, drugs use, etc). Those private prisons won't make any money is they got no prisoners after all. yes a judge did rule that it is perfectly fine to record cops. to prevent it is a blatant violation of the first amendment. We Are Internet Spaceship Pilots.